Connect in style with the Samsung Galaxy Ace S5830, which offers a wide range of features and access to thousands of applications, and also makes calling and texting a pleasurable experience. You can thoroughly enjoy using the Samsung Galaxy Ace S5830 with the 3.5 inch TFT HVGA screen, which is highly efficient in delivering bright and crisp visuals. Manage your tasks with speed and efficiency; as the Samsung Galaxy Ace S5830 operates on the Android based 2.3.6 OS, which is powered by an 800MHz processor. The phone is enabled with a 5 megapixel camera backed by a LED flash and also 2X digital zoom. To enhance your picture, the Samsung Galaxy Ace S583 0 has host of shot modes and photo effects. Enjoy the musical experience with the Android Music Player. You can also tune into FM radio with RDS, wherever you are. 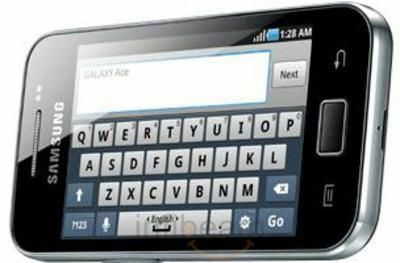 The connectivity options in this Galaxy Ace are 3G, Wi-Fi 802.11 b/g/n, PC Sync Application, Bluetooth v3.0 and the high-speed USB v2.0. You can now download 100,000 apps which are available on the Android Market. With the ThinkFr ee feature in the Samsung Galaxy Ace S5830, you can create, edit and view various Word, Excel and PowerPoint documents. Now continue with your work even on a flight, as the Samsung Galaxy Ace S5830i is enabled with an offline mode. Thanks to the Social Hub, you can easily combine and organize all your contacts into one; whether it’s from your phonebook, email, IM or SNS. The Voice Search application saves you the time of typing your searches. You just have to speak it out and it will be done. Communicate to your heart’s content with the 1,350mAh Standard Battery. When fully charged you can talk on the phone up to 660 minutes on 2G network and 390 minutes on 3G network. Hi, All. I have purchased this phone from the infibeam. 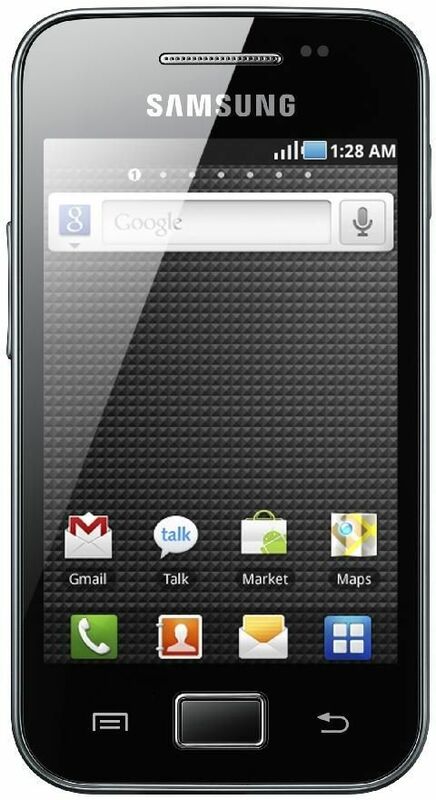 Samsung-Galaxy-Android in this price is best deal. I have purchased this phone in August, and today is March... i want to say that Perfomance of this phone is good.. the only disadvantage is its battery backup(but we can ignore it). Otherwise all the famous and good applications are supported like fb,spee,twiter,watsapp,viber... So you can go for this phone also. And regarding infibeam service...pacakging is impressive. Service is not bad. So, my experience for this phone is good..
Pros: -->>Best Brand with powerful software support -->>5 mp AF camera with perfect quality (captures text very clearly) -->> Good for Emails, Social Networking and to have first android experience for first time android users. -->> Good Battery Life -->> Good looks and 3.5" screen makes typing easier. Cons -->>Small internal memory makes you restrict to install more application -->> Whenever you make changes in SD card like adding and deleting content it runs a disk scanner which is slow process as compare to other fast android devices -->> small ram size makes it slow -->> you can not play games with graphics requirement. -->> most disappointing -->> Temple Run not supported. I had placed an order about 2 days back..and Got the product with good packing and in time..thanks for your good service.. infibeam rocks...!!!!!!!!!!!! This is perhaps the best Phone going to available from May !! Q2 2012. and specifications are actually- 1 Ghz processor, Windows 7.5 Mango ,256 MB RAM, 3.7" screen with skydrive storage available. Camera- 5 MP with LED flash .and Supported video playback formats: ASF, AVI, WMV, MPEG-4, H.264/AVC, 3GPP formats with xboz live for Gaming. I decided to go for this phone to jump on the Android bandwagon and found it to be a good phone to begin with. 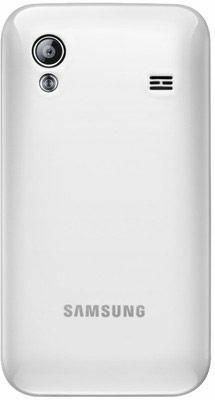 The tech specifications are really good at this price and Samsung is a brand that can be banked on when it comes to getting the technology right. 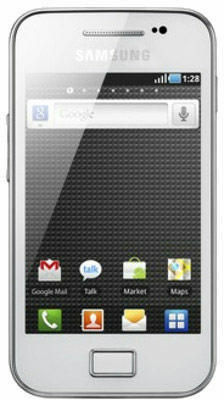 I would recommend this phone o any one looking for a budget phone without much frills and high specifications in mind. Though there was a delay of a couple of days in getting my shipment, no qualms with Infibeam's service [especially when it got me the least price among all e-commerce websites as well as retailers I contacted]. I just bought this phone.I liked it very much its has amazing features and it is the best smart phone as per money and features. The Samsung Galaxy Ace-S5830 with free 2GB memory card that You have supplied in good condition and timely supply and the contacts are also very good. Best wishes. Go ahead. - R. Karunanithy, Puducherry. Wanted to shift over to android for quite some time from my Nokia. Got this mobile from Infibeam and believe me people, its superb. It a mini entertainment system in ur hands. My long distance commutes to my office have just turned so crazy. The android music player is unmatched. The camera is 5 MP which easily suffices for normal photos. Light weight and big screen makes it look techno. Supports Bluetooth, WIFi and 3G. Best part is that I can back up my phone on my PC thru USB. Loved ur prompt service Infibeam. Kudos! I bought a samsung galaxy ace this december, and am extremely happy with the performance. The best part of it is the handiness of the phone, which when compared to other smart phones having big 4" screens is quite convenient to use and big enough to easily browse any website u like. It has a good bright display and a really responsive touch screen supports it well. 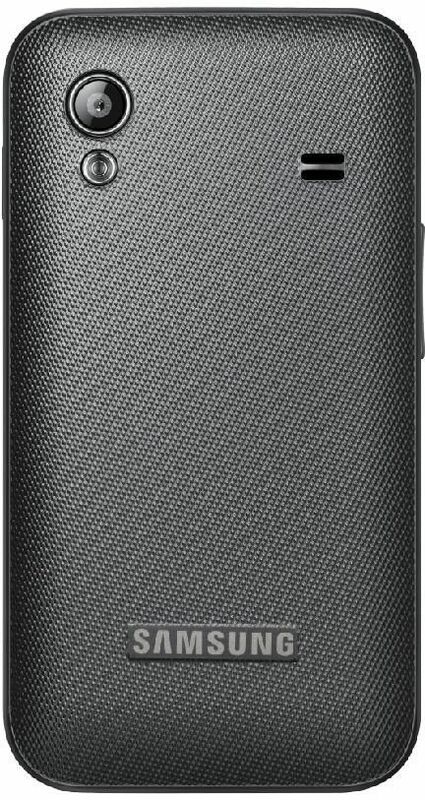 The gorilla glass used on the cell phone gives its elegant looks a sturdy finish. I am very happy to receive ordered phone on the given time. I received it in good condition.